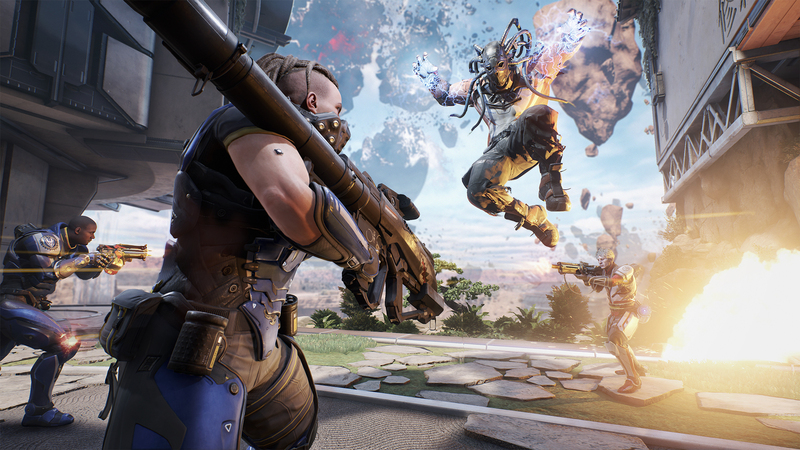 Boss Key co-founder Arjan Brussee explains how Lawbreakers attempts to revive the 90s arena shooter, and why it's no longer free-to-play. 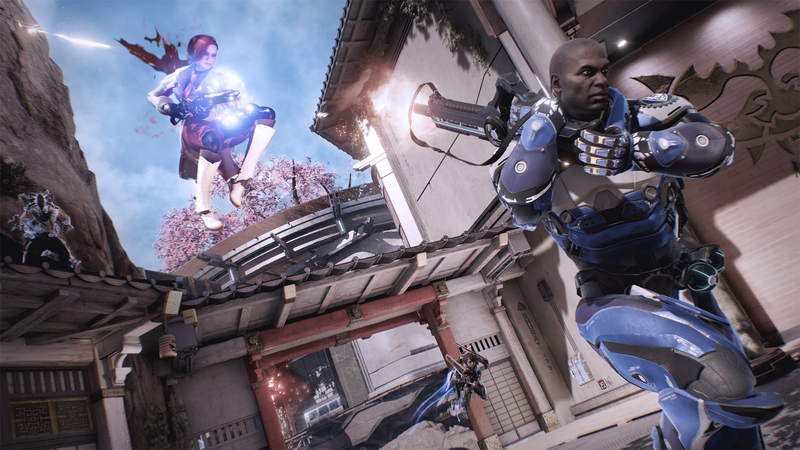 Lawbreakers is a throwback to the 90s era of shooters, and Boss Key co-founder Arjan Brussee knows it. In fact, that was the point. "We just had this idea that it felt like there was an opportunity with arena-based shooters to do something fresh again," Brussee told Shacknews. "To us, it felt like some of the original creativity from the 90s was kind of lost in the move toward ultimate realism. Everyone is the same height, same animations, it all has to be real guns. You couldn’t do something “impossible.' Some of the double jumps, rocket jumps, wall-running, all that kind of stuff gets lost. The time was right to start introducing some of these things back again. "I guess we weren’t the only ones to see that because we’re seeing others that are doing similar things," he laughed. Similar games from competitors is the major obstacle to overcome for Lawbreakers. It's no secret that shooters are a crowded space, and it's getting even more packed as major publishers increase their offerings. For Brussee, this first salvo for Boss Key is more about building a sustained audience than finding a breakout debut success. He wants their player curve to look like CS:GO, not Battlefield. That model makes sense for the game type too. As a multiplayer-only game, Brussee said they can focus much more on that experience. When I suggested the team was relatively small for a shooter, he begged to differ. "If you see a 200-300 people team, by far the majority are on single-player or cutscenes," he said. "Probably 60-70%. So if you see the team on multiplayer, DICE and things like that, it’s small. So we can get a comprehensive feature set with 50 or so people. The thing we’re missing is sharing assets from single to multiplayer, but in terms of size to make a rich, featured shooter, we’re about the right size. We also just need time. We started with zero people, and we only hit the 50 people mark in January. So we still need time with the entire team." That said, he does recognize the need to set achievable goals, and says that was part of the motivation for a multiplayer-only shooter. He says that was the space that aligned with their experience, and also felt like the right amount of challenge. Even still, the core of the game is in flux. It recently went about a radical change, when Boss Key announced it would no longer be free-to-play. Brussee says that while it seemed to fit their game at first, the further it got into development, the less sense it made. "We started out doing free-to-play because we were done with the old-school way of how shooters are sold. Sell the base version for $60, then $20 for a premium edition, then $40-60 of DLC, so people are investing $120 or $140 into the game," he said. "How many of these is a gamer going to buy in a year? It starts to feel weird. "But then on the other end you have this free-to-play phenomenon on mobile which is super effective. We were looking at it like, 'how can we navigate that space?' We don’t want to sell energy, we don’t want to sell gameplay advantages. So to make the game feel fair in a free manner, like character rotations, you need a lot of content. You need 30 characters to rotate them in and out and still have people be able to compete when they’re not spending money. For us as a smaller team, combined with our classes and our positions that are super-deep, it felt like we can’t create 30 different classes and go through that rotation-type mode." Instead, Lawbreakers will use a priced package model, but not the full $60 package. It plans to supplement that with cosmetic items that are custom designed for each character, so your favorite will still feel like it retains its own personality. Brussee also raised another concern of the F2P model: cheating. "If it’s free and people can make new accounts, it’s very hard to fix those problems. We heard stories about a game like CounterStrike where the amount of cheaters grows exponentially after they do a sale, because everyone just buys at a low price and starts cheating again until they get banned again. It’s a really crazy dynamic. How do we prevent this stuff from happening? I want a game that’s fair and competitive and really all about skill." For hands-on impressions and a look at my (utter lack of) skills, check out our preview. This Lawbreakers preview was based on a pre-release PC demo of the game at an event where transportation and accommodations were provided by Nexon. Lot of weird statements in this story. To us, it felt like some of the original creativity from the 90s was kind of lost in the move toward ultimate realism. Everyone is the same height, same animations, it all has to be real guns. You couldn’t do something “impossible.' Some of the double jumps, rocket jumps, wall-running, all that kind of stuff gets lost. The time was right to start introducing some of these things back again. For Brussee, this first salvo for Boss Key is more about building a sustained audience than finding a breakout debut success.He wants their player curve to look like CS:GO, not Battlefield. So ignoring the fact that he is back to comparing their game to the most popular military shooters and not the countless games pushing the genre he claims is empty. He wants their FIRST SALVO to be a player curve that looks like that for a game that is the 4th major iteration in the largest shooter franchise of all time that has a growing player base as fans transition from the previous iterations? And he wants that rather than being one of the top five selling FPS franchises that also started in the 1990s and maintains a steady player count across three major platforms? So now you never want to put it on sale? Or you are setting a price high enough simply to price out cheaters?